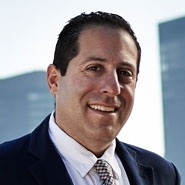 Jonathan Adelsberg focuses his practice on complex real estate transactions, including sales, acquisitions, large scale developments, financings, workouts, restructurings, leasing, joint ventures and construction projects. Clients, including prominent real estate owners and developers, international retailers, large financial services firms, investors, major corporations and high-net-worth families with significant real estate holdings often call on Jonathan because of his ability to amicably resolve multi-party transactions, and his ability to navigate sophisticated matters involving a governmental component. Jonathan has been named a Super Lawyer by Thomson Reuters (2013-2019), and has been recognized for excellence in real estate law by The Legal 500 United States. Jonathan is a trusted advisor to many of New York City’s most prominent real estate families. These families, who have significant intergenerational wealth and substantial real estate holdings, rely on Jonathan for real estate transactions and business issues, and a range of related legal matters, including succession planning, wealth and legacy preservation, conflict resolution and the division of family empires. Clients value his ability to envision a path forward, while limiting conflicts and preserving relationships as critical decisions are made. As the chair of Herrick's commercial leasing practice, Jonathan advises tenants and landlords in millions of square-feet of office and retail leases throughout the U.S. While his leasing transaction experience spans the entire country, Jonathan frequently advises national and international retailers in prime New York City retail locations, including Times Square and Fifth Avenue. His ongoing clients include two of the five largest U.S. banks, and major retailers including LVMH Moët Hennessy and its subsidiaries. Jonathan’s representation of some of the City’s largest landlords also helps him anticipate the needs of each side of a transaction. He has advised New York City landlords in connection with many prominent retail locations, including the E-Walk complex on 42nd Street – one of the busiest blocks in the world. Jonathan is a longtime member of the International Council of Shopping Centers (ICSC), and a frequent lecturer on retail leasing, construction and financing issues at ICSC conferences.